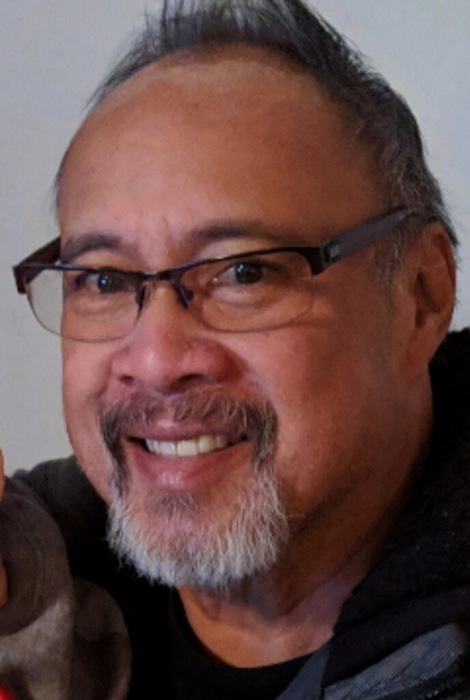 Nathan Michael Albios, beloved brother, brother in law, uncle, nephew, cousin, friend and coworker passed away on Jan. 23,2019. Born and raised in Waialua, Hawaii, he moved to California in 1978 where he resided in Fremont, California for the past 25 years. He loved being around his family and enjoyed playing music. Nathan was a big sports fan and had a wealth of knowledge of every sport. He enjoyed “coaching” whether it was from the bleachers, the playing field, or even the sofa. He enjoyed rooting for Bay Area teams, Hawaii teams (esp. his alma mater), and the Da Guys softball team. Nathan proudly worked as a Quality Inspector for over 30 years. He played guitar, percussion, and was a vocalist for the Island Wave Band, A.K.A. Dance Party, for many years. They regularly played for family celebrations, various clubs, and private parties. Nathan was very proud of his family. He spoke fondly of how close his family is and loved reminiscing about the “good ol’ days.” He loved to get updates on all his nieces and nephews’ accomplishments and was quick to support in all of their fundraisers. He is survived by his brother, Robert (Helena) Albios, sisters, Regina (Roy) Kuranaga, Paulette (Eric) Lee, and Janelle (Mike) Pereira. He is preceded in death by parents Asabino (Bobby), and Maximiana Albios, sisters Eileen Damas, Pamela Ah Quin and Mary Albios. Nathan has numerous nieces, nephews, grandnieces, and grandnephews. He will be dearly missed by all who loved him. Visitation will be 5:30 pm Friday February 15, 2019 at St. Michael's Catholic Church. Mass to follow at 7:00 pm. Burial will be 9:30 am Saturday February 16, 2019 at Mililani Memorial Park's cemetery.